There are few more identifiable and widely popular sports cars than Nissan's 370Z. The 2014 version maintains its tradition of being quick, responsive, stylish and, within reason, affordable. Its price competitors are the Chevrolet Camaro and Ford Mustang, but the 370Z remains a breed apart in its appeal and capabilities. It is, after all, the Z. Falling in love with my 370z. I personally love my Nissan 370z. It has been my dream car since I was very little and was very happy when I was able to purchase it. I love the sleek design of the 370z over the 350z. It is a very comfortable and fast car. I have made some modifications to it such as aftermarket pipes, hood, tires, etc. Although not an everyday commuter, it is perfect for those days where you want to take a nice ride. The reason why I love the 370 over 350 is because of the much more modern design of it. 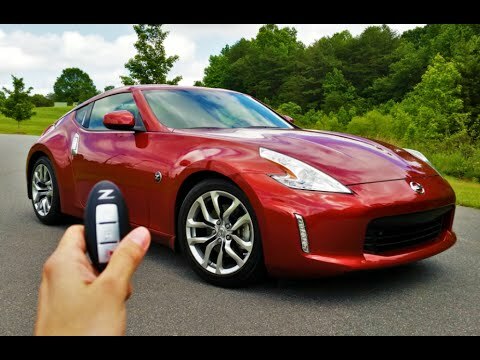 Mine is the base coupe model but it still is just as good as the other models for the 370z. The aftermarket parts can be a little expensive depending on the quality that you are looking for. This style of car is a very eye pleasing car and everyone will always either compliment you or ask you questions wherever you go! My husband and I have traveled from the state of north Carolina to Texas. We never encountered any problems with our vehicle. I make sure that everything that goes into the car is of great quality so the car will last longer. I do plan to in the future make yet another purchase for another Nissan z but I am looking for an older model. I can guarantee you that when purchasing this car you will instantly fall in love! It's one of the best cars I have ever owned. Love the convertible, wish it was a 5-speed. Love the style, the performance, and the reliability. Second one I have owned, and it will be the last car I drive. the car has a mind of its own. its a sports car and handles like one. it goes with the road and cannot be forced. my only complaint is for a 2014 it does not have built in navigation. everything else about the car is great. i love my car.